Release notes are an important source of information about a new software release. Such notes contain information regarding what is new, changed, and/or got fixed in a release. Despite the importance of release notes, they are rarely explored in the research literature. Little is known about the contained information, e.g., contents and structure, in release notes. To better understand the types of contained information in release notes, we manually analyzed 85 release notes across 15 different software systems. In our manual analysis, we identify six different types of information (e.g., caveats and addressed issues) that are contained in release notes. Addressed issues refer to new features, bugs, and improvements that were integrated in that particular release. We observe that most release notes list only a selected number of addressed issues (i.e., 6-26 % of all addressed issues in a release). We investigated nine different factors (e.g., issue priority and type) to better understand the likelihood of an issue being listed in release notes. The investigation is conducted on eight release notes of three software systems using four machine learning techniques. Results show that certain factors, e.g., issue type, have higher influence on the likelihood of an issue to be listed in release notes. We use machine learning techniques to automatically suggest the issues to be listed in release notes. Our results show that issues listed in all release notes can be automatically determined with an average precision of 84 % and an average recall of 90 %. 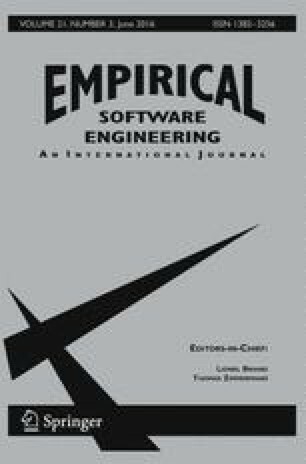 To train and build the classification models, we also explored three scenarios: (a) having the user label some issues for a release and automatically suggest the remaining issues for that particular release, (b) using the previous release notes for the same software system, and (c) using prior releases for the current software system and the rest of the studied software systems. Our results show that the content of release notes vary between software systems and across the versions of the same software system. Nevertheless, automated techniques can provide reasonable support to the writers of such notes with little training data. Our study provides developers with empirically-supported advice about release notes instead of simply relying on adhoc advice from on-line inquiries.